Anybody else excited for Neverwinter Nights: Enhanced Edition? I’m a big ol’ tabletop RPG nerd. I play a bunch of Pathfinder on play by post and wake up early every Sunday morning to play Dungeons and Dragons 5e with my friends even though I kinda hate the system. Tabletop gaming provides a unique experience that can’t be replicated by even the most immersive video game for simple fact that every video game is going to have a rigid, immutable set of rules and a finite amount of scenarios the game can throw at you. I’m not saying it’s a superior form of gaming like some TRPG elitists (or purists, if you’re feeling charitable) would claim, but it is different and has some serious advantages over other types of games. Dungeons and Dragons being the most well known and recognizable brand of these types of games, has of course had many attempts made to translate the TRPG experience to what are generally referred to as CRPGs, or “Computer Roleplaying Games” (creative name, I know), resulting in many beloved games such as the Baldur’s Gate and Icewind Dale series, Planescape: Torment (based off a different D&D setting besides the ubiquitous Forgotten Realms that the latter two mentioned are), and even the Star Wars Knights of the Old Republic series, which have rules largely based on what I assume is the Star Wars: Saga Edition RPG system (which is basically just Dungeons and Dragons 3.5 with a few different rules and a Star Wars skin. Solid system, actually) unless the massive similarities are purely coincidental. 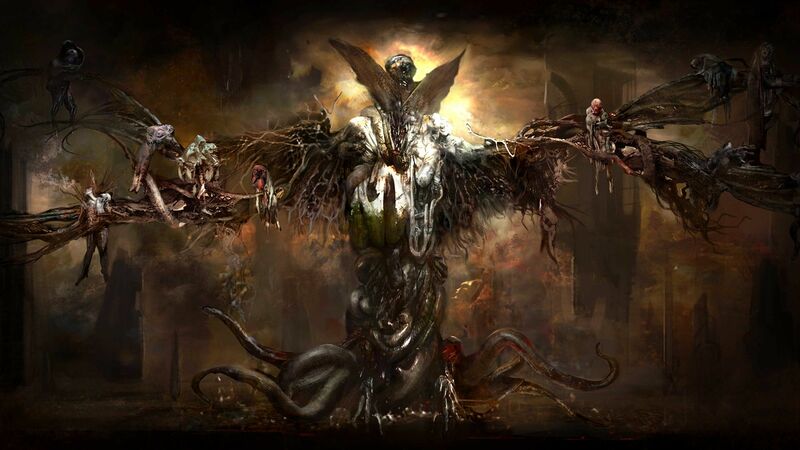 Torment also got a pseudo-sequel recently. Interesting that CRPGS are having such a huge comeback actually. Neverwinter Nights is one such property, also set in the vastly over-used Forgotten Realms setting, specifically around the city of Neverwinter, which has a neat backstory (which I won’t get into) and a cool city crest (which I WILL show). I’ll admit, I never got into Baldur’s Gate, Icewind Dale, or even Knights of the Old Republic. CRPGs were never my style, and by the time I’d played any of those they were extremely outdated as well.. Neverwinter Nights, on the other hand, holds a special place in my heart as the thing that introduced me to Dungeons and Dragons. I first played it around 2006, borrowing it from a friend, and was immediately sucked in. Being an immature middle schooler at the time I thought it funny to play a Chaotic Evil Sorcerer that just ran around setting innocent people on fire, but the game accommodated that to a degree. When I made mroe serious characters, I could experience more of the game as well, and spent hours on it. Alas, I never got to finish it, returning it to who I’d borrowed it from and never getting a copy for myself. But I kept the manual, with all the spells and Prestige Classes and stuff detailed, and it got me interested. I started reading the novels by R.A. Salvatore (who would later let me down by writing the lackluster story for Kingdoms of Amalur: Reckoning) and eventually, on graduating high school, was invited by a friend to play a game of Pathfinder and was hooked. I have made more friends than I ca count playing Pathfinder, and I don’t think it would have happened without Neverwinter Nights‘ existence. The game, as little time as I spent with it, quite literally changed my life for the better. The second guy from the left was my avatar for a long, long time. So I feel kinda obligated to point out that the Special Edition was announced a month ago (though with no concrete release date) and…nobody has really been talking about it. Which is a shame. It’s a genuinely good game with deep modding potential (people STILL make and publish campaigns for that game using the in-game custom map an encounter generator) that seems to have fallen into the cracks while a certain other CRPG with a sequel created by Obsidian (they did Neverwinter Nights 2, Knights of the Old Republic 2, and more recently Pillars of Eternity and Tyranny, among other great games) has stolen most of the thunder from CRPGs of that general era. Which is a damn shame. The game might not have been as life changing for most people, but it’s still a great one and it’s sad that not only has it been largely forgotten by general audiences, but its remake has very little hype surrounding it as of now. So I guess I’ll just leave off with this, look at the trailer, see if it excites you, and if it does, maybe consider giving it a shot. Maybe it’ll introduce you to something great you didn’t know you wanted as well. #Anybody else excited for Neverwinter Nights: Enhanced Edition? Holy Damn I know that I played a Neverwinter Nights game way way back in the day. I never completed it just because I was such a noob. Now I remember I still have the installment cd somewhere out here haha! I really need to try it again soon. And maybe even getting this Neverwinter Nights game as well! Yeah it is such a nostalgic game for me. I should play this one for sure! Thanks for the recommendation.